Currently age 65 and older grew from 35 million in 2000 to 49.2 million in 2016 . Rand Dental is here to help , listen and be compassionate towards older patients needs. With this knowledge , Rand Dental is aware of the ever increasing complications , due to decrease saliva production, increasing root decay , inducing acids , periodontal disease , decrease in taste, oral cancers to name a few. Another major concern , is the increase in chronic diseases has a direct increase on the number of medications , and some can decrease salivary production . The average age that most people are diagnosed with oral cancer is 62. That’s why regular dental visits for seniors are very important. Economically disadvantaged patients is also a concern . With the lack of a job , most lose their dental insurance. Today , there are inexpensive plans one can purchase that provides coverage of many dental procedures. Rand Dental also can help with those costs, so be sure to ask when you visit the office. Making sure that patients can access dental offices today is important , as more offices move to the digital age many patients need to deal with this transfer. Also, providing patients with current treatment may vary as one needs to consider the patients ability to tolerate and maintain this dental work . Dentists are providing more restorations with improved materials for the patient care . Rand Dental can accommodate wheel chairs or walkers for patients to access the office. Insurance /payments is another concern . Medicare advantage plans are now beginning to cover routine dental visits. Some seniors qualify for Medicaid services . Communicating with the patient and finding out their needs is imperative. Post treatment visits and follow ups are also important . Scheduling them for more frequent preventative visits will also make a difference . At Rand Dental , we have a specialist on staff, Dr. Manasse , a prosthodontist , who specializes in dentures, partials, implants and caps and bridges . If you know of someone that has ill fitting dentures or dental work that is bothering you, please call the office 973-927-8800 and ask to set up a consultation with Dr. Manasse. . Oral cancer is not a rare disease. Screening at your dental visits is simple , easy , painless and quick. It kills one person every hour , every day and over 115 cases are diagnosed each day . Oral cancer like gum disease does not hurt. You may notice a strange spot on your tongue, cheek or somewhere in your mouth. We use an advance light to detect irregularities which may indicate pre-cancerous cells. Early indicators range from red or white discolorations in the mouth and soft tissue, sores that do not heal in 14 days , hoarseness that lasts more than 6 weeks, numbness, difficulty in swallowing , ear pain , a sore under a denture, lump in the mouth or neck . The leading cause of oral cancers in the USA is HPV16 virus. Alcohol and tobacco have also played a major role in the major risk factor. The fastest growing of the oral cancer population are the healthy , young, non smokers due to HPV virus. Oral cancer screening should be conducted yearly at your dental visits, always ask your dentist or hygienist if they see anything suspicious . A neglected infection or untreated oral cancer can even be fatal. There are some universal ways to maintain your dental health, such as regularly visiting the dentist and regularly brushing and flossing your teeth. Some groups of people, though, may need to take extra precautions. 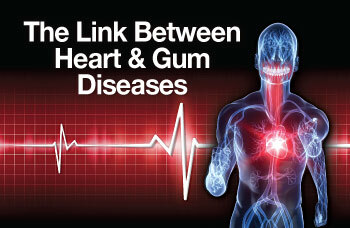 Come in for a cleaning and a comprehensive exam so that we can provide you with the BEST dental care for your mouth . Today more young adults are becoming involved in after school activities. From field hockey, soccer, football, wrestling, basketball these activities are increasing the risk of sport related oral cavity injuries. It is most important that dental protective devices be fabricated in order to reduce the incidence of injuries. Many states are trying to mandate the increase use of mouth guards but have failed in their proposals. Concerns as to why the mandates have failed vary from: breathing ability, speech and hygiene of the mouth pieces. I feel that it is most important to fabricate these mouth guards with a licensed dentist , in order to verify fit, proper covering of teeth and protecting gum areas and review care of the mouth guard.